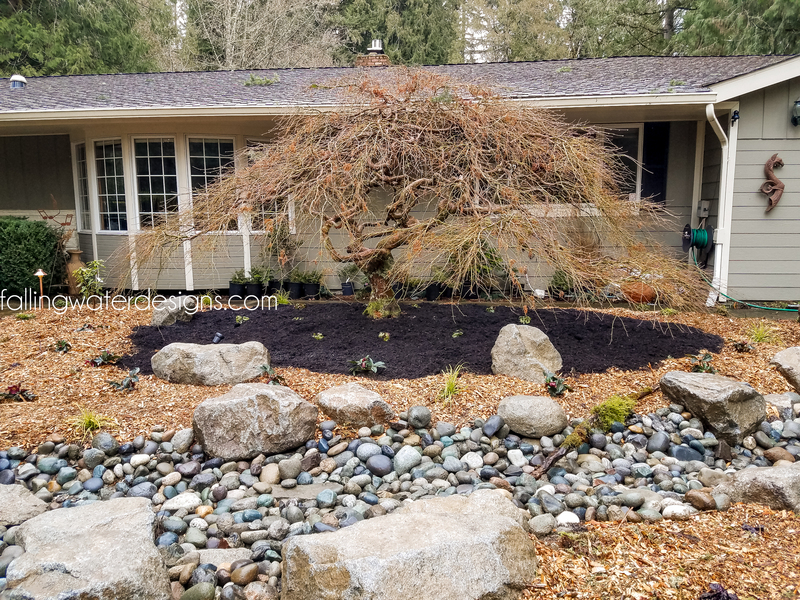 Formal pond: This customer had an existing koi pond that was less than two feet deep and had a tree growing in an adjacent bed. The tree roots punctured the liner and lifted the edge of the pond. We came in and dug the pond deeper to over 4’ and changed the shape of the pond. 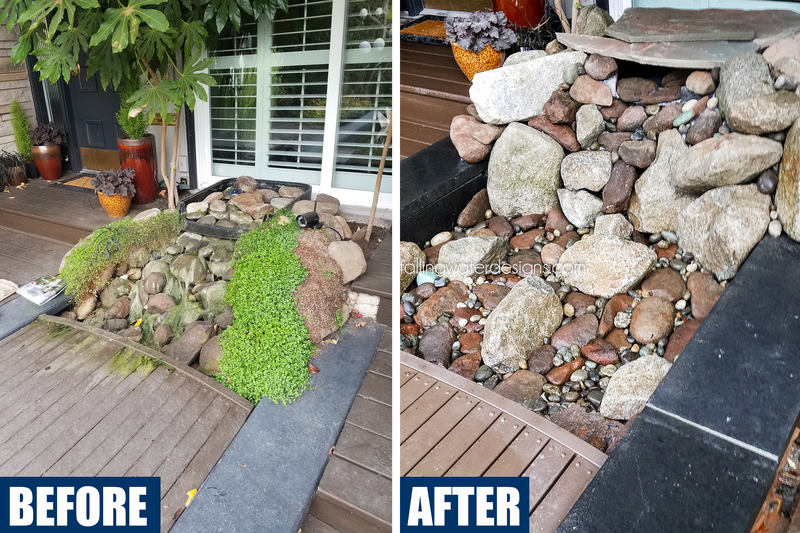 We added faux stone veneer to the outside of the pond, natural stone coping around the edge and rebuilt the waterfall. 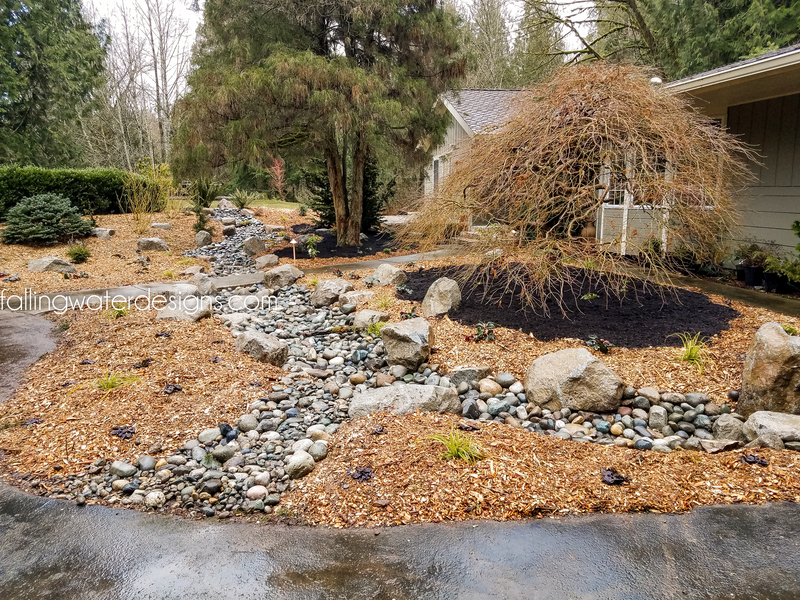 Front garden project: This Woodinville customer saw another project we were installing in the front of a repeat customer’s home. During construction they walked up to their neighbor and asked who was installing the garden which is how we got the job. 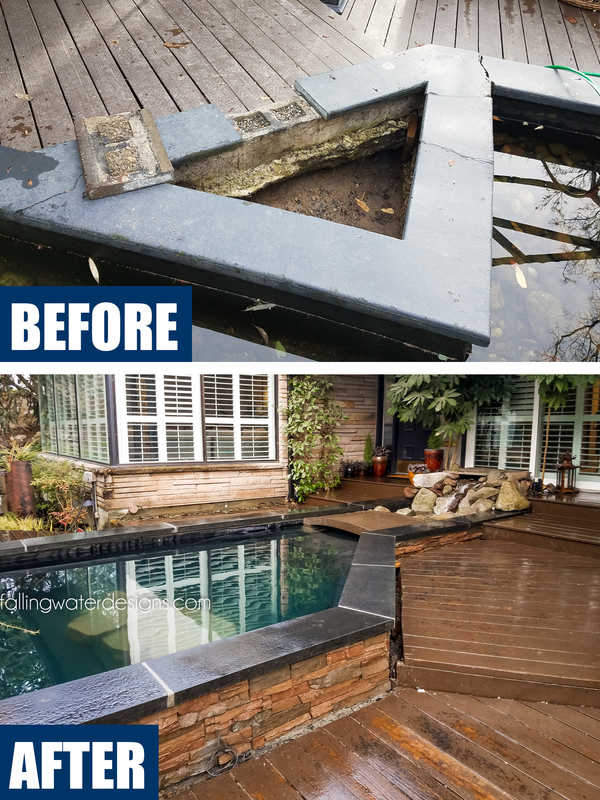 This project was to redo the front entry of their home. 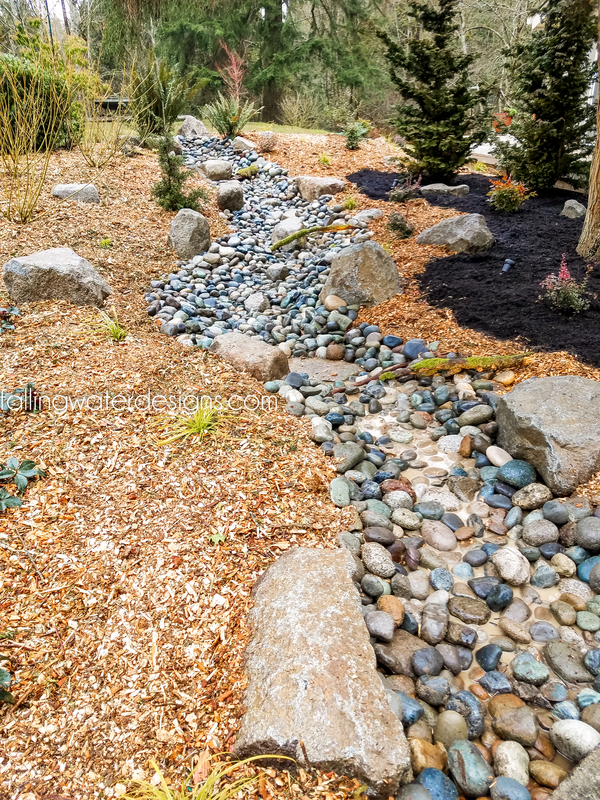 We added drainage for the down spouts, removed a large portion of sod, installed a dry creek bed, large boulders, new soil, new plants, lighting and mulch. 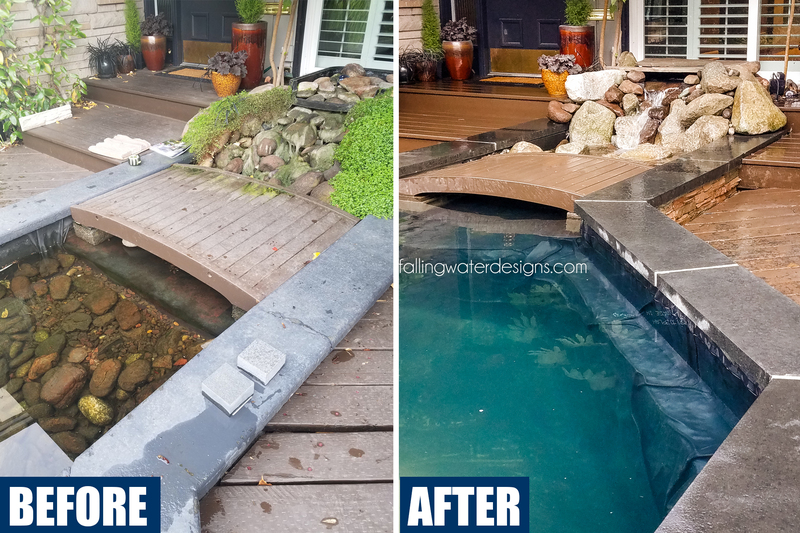 Their walkway now appears to span over a creek when you walk up to the front of their home. 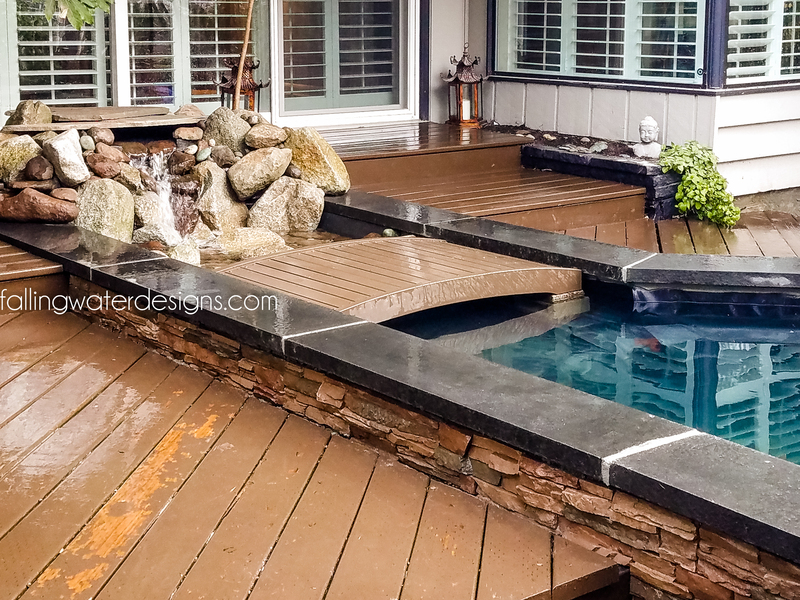 Let our experts assist you with designing, planning and installing a pond or fountain. Inquire here!